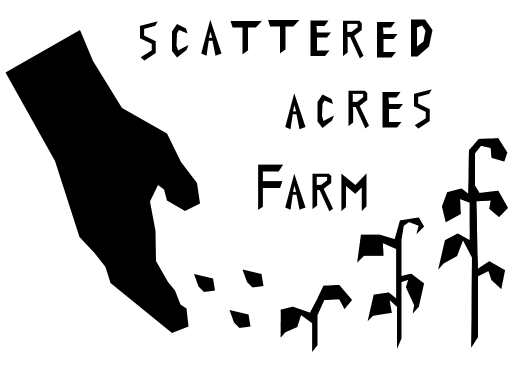 Scattered Acres Farm is the realization of a long-held, years-in-the-making, dream; an aspiration--in order of importance--to grow food using regenerative practices based on a stewardship of the land, to make this food available at the local level to all who might desire it, and to provide its operators a livable income in the process. The farm's home base is in Hendrum, Minnesota and produces eggs, vegetables, apples, honey, meat, and other homemade food products. Regarding goods produced with respect to Minnesota Cottage Food Law: These products are homemade and not subject to state inspection.